Hi there! The Bristly Thistle is located on Amelia Island in Florida near Jacksonville. We have the newest designers and canvases in stock for your selection. Many people tell us we also have the best thread selection around. Please share your feedback on the blog or tips and comments about needlepoint in general. Bristly Thistle is a registered trademark. Hi Michele I just received your March 1708 letter and I want to have your add me to your email list. See above. I am the one that ordered the Cubs Wrigley Field canvas. I just got back from AZ and Cub Spring Training. Just had a great time. Bobbe PS What caught my eye was the new Kathy Schenkel sailboats and the Needlepoint Broad loon. I am planning to stitch a needlepoint for a wedding gift and the couple is interested in oriental themes – preferably a Buddha. I have not located any canvases with a Buddha so far. Can you help? While up north this past summer, I saw a “monogrammed” canvas in the store, but I can’t find it on the website. Can you please give me some add’l. info. on the canvas….how long does it take to order?….price?…colors available. I will email sizes and prices separately. 70-80’s). Glad you are still nearby! We are at the Perry Hotel and will be by Friday after Thanksgiving, to see you at the new location. I am trying to locate the painted canvas tote, Pink Crabs by Patty Paints. Do you have it? I don’t have the canvas in stock, but if you can find it and a SKU on her website, I would be happy to order it for you. I don't have the canvas in stock, but if you can find it and a SKU on her website, I would be happy to order it for you. Thank you, Michele Herron;. All the best!! Hi, Michele. Does this mean that you’re not coming back to Petoskey? My whole family will be very sad if this is the case. 😦 I hope to visit your new store sometime in Feb. or March. Looking forward to seeing you again. I came up with my Wisconsin galpal last weekend and absolutely LOVE your shop!!! 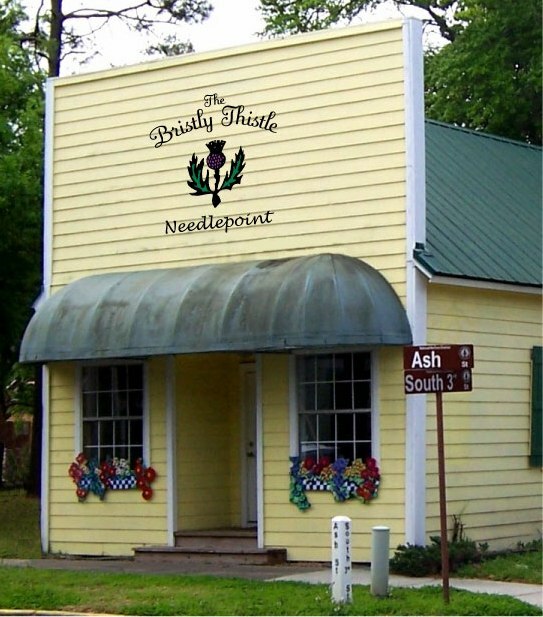 It is a dream for any needler who has visions of what a needlepoint shop should be! Loved your pups….they are precious! 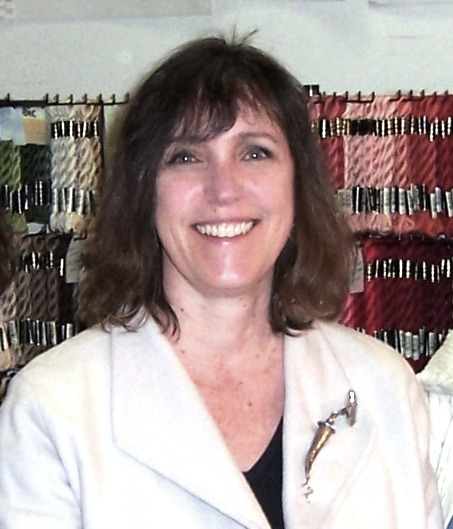 Can’t wait to come up from Ponte Vedra Beach to spend some time stitching – always eager to learn new things. Thanks again for your hospitality – and, a terrific selection! I saw the suspenders (braces) and have been looking to see who has a pattern to make them for my husband. I haven’t decided on the design yet but don’t know how large/long/ to make them? Can you give me any tips? Shelley, the best way to make a pattern for suspenders is to use an existing pair as a template. Sign of the Arrow can finish them for you and will use the hardware from the template to make the needlepoint braces.